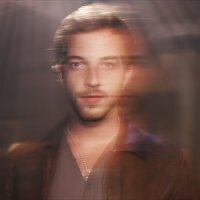 James Morrison has today been added to Capital's star-studded Summertime Ball line-up at the Emirates this June. The Brit award-winning English singer, songwriter and guitarist saw recent single 'Broken Strings', featuring Nelly Furtado, hit the top of the charts in many countries across Europe and the World (was pipped to number one spot over here). James joins newly-reformed Blue, Leona Lewis, Calvin Harris, The Saturdays, Kelly Clarkson, Akon, Lionel Richie, Shontelle, Alesha Dixon, JLS, Katy Perry, Daniel Merriweather, Mark Ronson, Ciara and Enrique Iglesias for the event taking place at the Emirates stadium on Sunday 7th June. As previously mentioned, there are still a few tickets remaining (despite the premature reports of them being "sold-out") - check the tickets link below to buy from ticketline.